Hello, dwellers of the internet. Holidays are almost here and we’re closing in on the year’s end swiftly. But before we wave it off for the holidays. Let’s see what went on in the world of tech this past week. This week’s tech news covers Tesla’s new Autopilot, US government asking foreign travelers to disclose their social media accounts, BitTorrent’s new live video app, Facebook kills of location sharing in Nearby Friends and adds Wave, Uber moving it self-driving cars pilot to Arizona and Pokémon Go on the Apple Watch. That was a mouthful to gobble so let’s get right into it. Tesla has been at the pinnacle of innovation ever since it’s inception and with the introduction of Autopilot on the Model S was a milestone both for the company and AI in general. It’s been a while since the 2nd Gen Hardware for Autopilot has been out on the new cars but the company had disabled most features as they needed further calibration using millions of miles of real-world driving. Features like automatic energy braking, collision warnings, and active cruise control would rely heavily on those tests. Several of these features were already available on the previous version of the Autopilot system but Tesla said they needed to be robustly validated before reintroducing them. 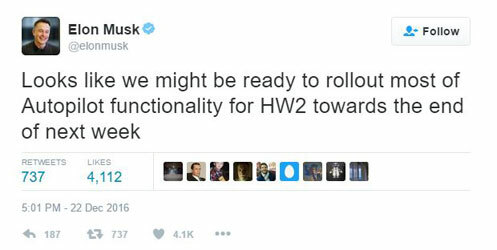 Well, it seems like the validation is well under way, as Elon Musk tweeted that it looks like the Autopilot for HW2 will be ready by next week’s end. Musk indicated that a few features may still take a while to release but it really shouldn’t take that long for your Tesla to gain full autonomy. 2016 has been a rough year for almost all of us. Not only did we witness the infamous Galaxy Note 7 fiasco, Donal Trump won the US presidency and we had the warmest year in history with world leaders denying climate change. Ignoring other news for a minute here, the tech industry hasn’t had a good time with the governments. And thus is not an exclusive case with 2016, last year we saw the FBI and Apple feud over encryption and every now and then some disturbing news keep coming up. Well here’s another one coming right at you. If you’re not a US resident and you’re traveling to the States for the holidays, you’re gonna have a rough time with the US Customs and Border Protection as they’ve started demanding that foreign travelers hand over their Twitter, Facebook, and other social media account information upon entering the country, which to be honest isn’t just an invasion of privacy, it’s creepy as hell. The new policy follows a proposal laid out back in June and applies only to those travelers who enter the US temporarily without a visa through the Electronic System for Travel Authorization, or ESTA, process. The goal, the government says, is to “identify potential threats,” a spokesperson tells Politico. This new policy went into effect this Tuesday and currently the request is optional. It asks foreign travelers to “enter information associated with your online presence,” and offers a drop-down menu allowing participants to enter in account names for most major social networks, including LinkedIn and even Google+ (which I highly doubt anyone uses anymore). 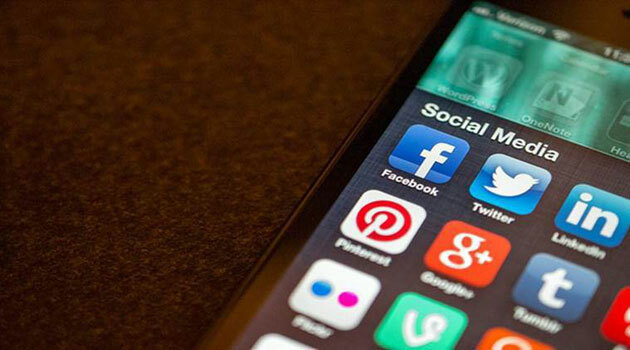 The implementation of such a controversial policy has enraged human rights activists and technology companies. This new form of data collection happens to arrive just one month before the inauguration of President-elect Donald Trump and I’m not reading between the lines but ain’t looking good for the US as of now. Live streaming yourself is the hottest trend of the internet it seems. Almost every other tech company has been doubling down, investing deeply in this area. Just last week, Instagram announced their Live Streaming feature, not long after the parent company Facebook rolled out Facebook Live. The internet is buzzing with Live broadcasts these days and joining the bandwagon is another player from BitTorrent. The Torrent client maker launched BitTorrent Live in May and it’s finally making its way to iOS, its first mobile platform after a possible delay of around 5 months. The service doesn’t allow you to broadcast anything like the social networks do but you can subscribe to a list of 16 channels including NASA, One World Sports and France 24. It’s not the offering, but the technology what makes it significant. Just like it’s famous file sharing method. BitTorrent relies on peer to peer technology. 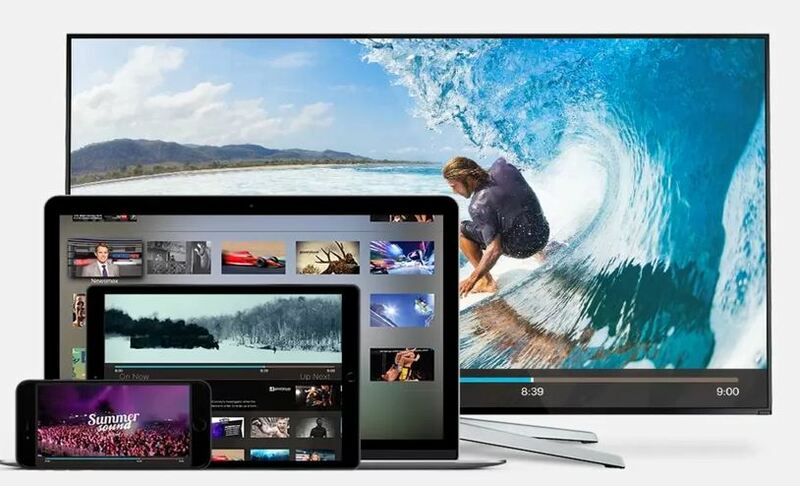 But instead of allowing for faster downloads, of files by using every user as a simultaneous uploader, BitTorrent Live casts viewers as a broadcaster allowing for a more distributed method of streaming video. The company claims that this offers low latency and more scalable streaming than traditional methods. It’s unclear whether or not the app is actually using peer-to-peer technology for streaming on iOS – BitTorrent had published a now-removed blog post claiming that BitTorrent Live used P2P, but other products from the company, like BitTorrent Now, have shied away from using the technology. It ultimately boils down to content. No matter how great the tech is, if the catalog of offerings isn’t good enough, no one is actually gonna watch anything. Remember the good old days of using Foursquare to check-in to places and share it with people online to gain some unwanted stalkers? 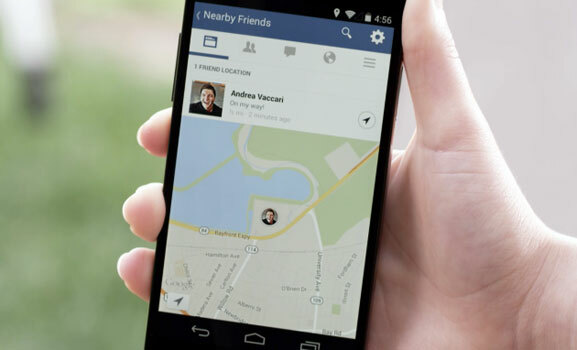 Then you may be familiar with Facebook’s failed offering called Nearby Friends. It’s basically allowed you to share your exact location with your selected friends for a specific period of time. While the feature couldn’t evolve into the Foursquare killer Facebook wanted it to, it did help meeting up in person with people. You can no longer share your location with friends on the social network as the option has been removed. But it seems it’s been killed for a better feature which seems to be a successor to the poke feature called “wave”. Wave addresses the major problem with nearby friends. Just because someone’s in your proximity, doesn’t mean they’re free to meet you. A Facebook representative did confirm that the company is indeed testing out a new feature. But there’s no official word just yet so you would probably have to wait a little. Apart from Tesla and Google there’s another tech company deeply investing in autonomous driving, and that’s Uber. The company recently launched their self-driving test vehicles along with the pilot program in the city of San Francisco. But soon enough they lost the registration in California for testing the same. Well, the company is definitely not sitting still as according to an Uber spokesperson, they’re rolling out their third generation self-driving vehicles, which are sensor-laid Volvo XC90 SUVs in Arizona. The company will be sharing the road with General Motors which is also testing their self-driving cars in the state. Uber met with the California Department of Motor Vehicles and the California state Attorney General’s office on Wednesday, after refusing to pursue a permit for testing autonomous driving in the state and continuing its San Francisco city pilot anyway. 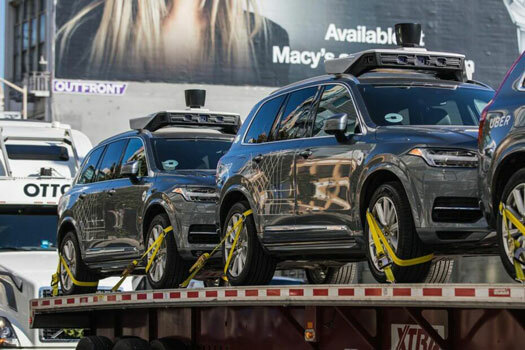 The result of the meeting was that the DMV revoked registration for 16 of Uber’s vehicles, the test fleet it had deployed with autonomous hardware and software in San Francisco. And finally for the last piece before wishing you all a Happy Hanukkah, here we are back with another Pokémon Go news. Back at the iPhone 7 launch event, Niantic took the stage to showcase Pokémon Go on the Apple Watch and the crowd went crazy. It allowed you to catch those monsters without breaking your workout streak. 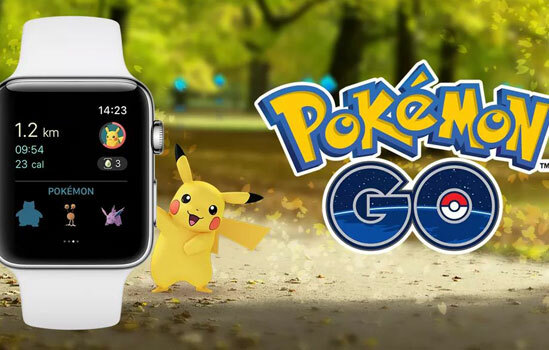 Niantic promised that the game would arrive on the Apple Watch near the holidays and they’ve delivered. The game is now available on the wearable. You can now hatch an egg on your wrist (not literally), log each play session as a workout, get notified about nearby Pokémon, receive notification when you get a medal, and receive candy for your buddy Pokémon. This launch caps off a busy month for Pokémon Go which received a slew of new Pokémon, a Starbucks partnership and releases in new countries at the same time. Nicely written Prateek Phoenix. Great explanation and detailed overview. Keep it up. Best wishes from Pakistan! Thanks for your kind words Misbah. Prateek will surely appreciate this. Releasing Pokemon Go in India and for Apple watch , both at the wrong time. I feel that it was just a fad of a month and now its popularity has vanished. What’s your view on this? And, personally I don’t think auto pilot cars are safe, atleast for Indian roads. 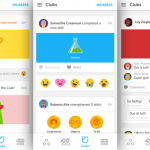 Very informative post about new trends in app world. Thank you. Pokemon Go on Apple watch is an awesome thing. I am eagerly waiting for it. Thanks for the update. Good information. Great work! and thanks for your great efforts. I’m really agree with all your points. The short synopsis you provided in this post is awesome. I haven’t heard about the Uber new services, that’s very interesting. I enjoyed a lot. Thanks for sharing.